A very good essay, Don. Thanks. 1. introduce a “poverty level basic income exemption” based on number of dependents in the tax unit. 3. retain loss carry-forward for all income losses–15 years forward and 3 years back. this would allow homeowners an incentive to take a loss and move on. 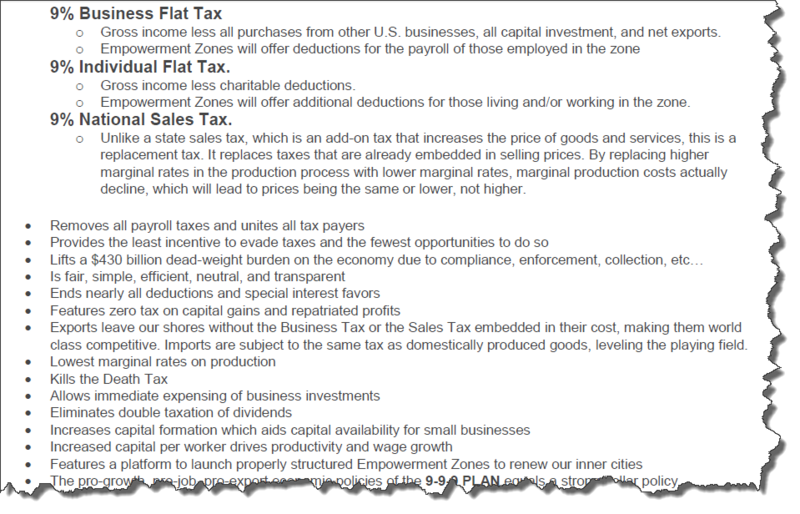 4. add a 2-4-6 adjustment which would increase the tax rate by 2% points for income over $200k; 4% for income over $400k and 6% for income over $600k. 5. exempt from consumption food and medical. 6. sales tax rate could only be increased by two-thirds vote of house and senate. plus no one has really recognized the impact of exempting used goods from the consumption tax. that might sharply reduce the regressiveness and do a lot for the wasteful habits of the nation. experts need to analyze it. what is your opinion of these changes and can you offer more?